While there’s plenty of excitement to be found in the wide world of capitalism, some of the most compelling economic activity happens beyond the eyes of the law. Black markets are where everything happens that isn’t approved by the authorities, for both good and ill. There are numerous examples of black markets in film and television, and The A.V. Club has put together some of the most prominent and noteworthy examples from pop culture in the list below. These aren’t all of the most famous examples of illicit economies, but they’re some of the nearest and dearest to our pop-culture hearts. You can watch The Traffickers Sundays at 10 p.m. on Fusion or get a season pass on iTunes. Steven Soderbergh’s drama about the war on drugs isn’t just a blockbuster film that netted its creative team multiple Oscars, including Best Director, Best Supporting Actor, and Best Adapted Screenplay. It also functions as a high-beam spotlight on the ins and outs of drug trafficking across the U.S./Mexico border, exploring the dangerous and convoluted intricacies of the illegal operations. It may not be the subtlest of bromides against the War On Drugs, but it’s one of the most polished. During the sprawling and ambitious second season of USA’s hit hacker drama Mr. 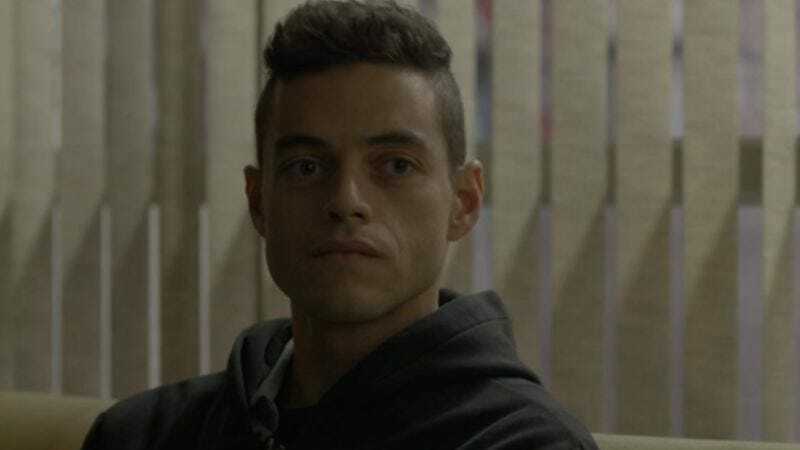 Robot, protagonist Elliot Alderson (Rami Malek) finds himself unintentionally drawn into the orbit of a digital black market. While helping the mysterious Ray (Craig Robinson) with his website woes, Ray’s previous computer tech passes along a password for Elliot to see just what he’s working on, and it’s not pretty. Illegal arms, hitmen for hire, human trafficking… it’s all on Ray’s site. And despite Ray’s goons severely beating the young hacker, our hero gets the last Deep Web-based laugh, as he sics the FBI on Ray and his site. Even after a post-apocalyptic event, there’s still an underground economy. In the second season of Battlestar Galactica, President Laura Roslin (Mary McDonnell) decides it’s time to go after the black market economy thriving among the remaining human ships. She sends in Apollo (Jamie Bamber) to get to the bottom of things, leading to a tale featuring murder, corruption, and the eventual realization that there’s no stopping a black market; there are only attempts to keep it from engaging in the worst forms of illegal trade, like trafficking in children. The market continues by episode’s end, but viewers were happy to see it go: The episode is considered to be one of the weakest installments of the entire series. Liam Neeson’s famous badass may have a very particular set of skills that make him a nightmare for criminals, but it all started thanks to a plot involving human trafficking. When former CIA operative Bryan Mills (Neeson) hears his daughter kidnapped from a Paris apartment during their phone call, he goes on the offensive, hunting down the bad guys one by one until he finally locates his daughter, having been put up for auction to a bunch of creeps. And yes, he basically kills everyone in sight. It’s not the most realistic portrayal of underground trafficking, but it’s certainly one of the more entertaining. Joss Whedon’s beloved series about a tiny group of outcasts living among the rougher edges of space paid homage to the people who make a living in the black market. Captain Malcolm Reynolds (Nathan Fillion) and his ragtag band of mercenaries made a living dealing with the less reputable side of the interstellar economy, often selling their ill-gotten goods under the radar of the planetary alliance. If the show’s love of its protagonists is any indication, Firefly is one of the best arguments for the existence of honor among thieves. Not every black-market deal involves sinister stuff like weapons or drugs—sometimes you just want to get the shampoo out of your hair. In the season seven Seinfeld episode “The Shower Head,” Jerry and Kramer’s lives are thrown into disarray when their landlord installs new “low flow” shower heads that make it impossible to take a satisfying shower in the morning. Kramer goes so desperate that he follows a lead to a guy who sells black-market Yugoslavian shower heads from the back of his van. But no black-market purchase in pop culture comes without a downside, and when Kramer buys the “Commando 450” model—intended only for use with circus elephants—he finds himself blasted out of the tub the next time he turns on the spigot. Large swaths of this gritty sci-fi classic take place in steamy, sinister-looking marketplaces that could easily be construed as “black markets.” But the underbelly of commerce plays into Blade Runner’s plot most prominently when Deckard, the detective played by Harrison Ford, needs to figure out the origins of a tiny animal scale that’s his only lead on the rogue “replicant” he’s hunting down. An exotic animals dealer examines the scale and concludes that it didn’t come from actual fauna at all—it’s a manufactured snakeskin of the “highest quality.” The scene illustrates a reliable truth of black-marketeers in film: They may not be on the up-and-up, but they know their products backward and forward. Blade Runner wasn’t Harrison Ford’s encounter with fiction’s shady sellers. Every black market needs the smugglers who work behind the scenes to move their illicit wares around the world—or around the galaxy, in the case of the Star Wars series, where Ford’s Han Solo is a scrappy but unreliable mover of goods. Solo’s double-dealing ways catch up to him in the seventh main-series Star Wars film, which sees the grinning rogue cornered by two rival gangs who want the goods they were promised by Solo. While he manages to shoot his way out of the fix, he’s one of the lucky ones—black-marketeering is a high-risk enterprise, where enterprising capitalists are liable to find themselves shot, stabbed, or worse for the purpose of spicing up the plot.